The Iranian-HAMAS relationship, which dates back to the early nineties, matured during the year 2008, when Iran provided HAMAS with the financial backing, arms stockpiles, and fighting capabilities HAMAS used to combat Israeli forces in the 2008 - 2009 Gaza conflict. While ties between HAMAS and Tehran have always been strong, the degree of coordination and volume of support indicates significantly increased Iranian influence in this area of the Levant. HAMAS rockets, many supplied or produced by Iran, dominated headlines and news photographs worldwide during the 2008-2009 Gaza conflict. The clash began in late December 2008 and ended in mid-January 2009 after Israel, responding to rocket fire against southern Israeli towns, conducted “Operation Cast Lead,” a campaign of air strikes and a ground offensive against HAMAS targets in the Gaza Strip. On January 19 and 20 2009, the USS San Antonio searched a ship in the Red Sea that had originated from Iran; a week later, on January 28, Egypt delayed the same ship before it attempted to cross the Suez Canal. Cyprus finally seized and searched the ship after it had entered the Mediterranean and declared on February 10 that the ship had violated a UN ban on Iranian arms exports. Cypriot authorities found “1,980 wooden cases of powder for 130mm guns and 1,320 cases of powder and powder pellets for 125mm guns” and “60 barrels full of 39mm shells, 810 cases of propellant for 125mm guns and eight cases of 120mm mortar components,” causing the UN Security Council committee responsible for monitoring sanctions on Iran to declare on March 10 that Iran had violated UN sanctions. Further evidence of the supply line between Iran and HAMAS emerged in late March 2009, when news broke that Israel had struck an Iranian arms convoy in Sudan in January 2009. Reportedly, “Dozens” of Israeli F-15s and F-16s reportedly bombed a group of as many as twenty-three trucks, which were carrying 120 tons of weapons and explosives from Iran destined for HAMAS, near Port Sudan in the African country. During Gaza’s isolation in 2008, Iranian leaders, including Supreme Leader Ayatollah Ali Khamenei, Speaker of the Parliament Ali Larijani, and President Mahmoud Ahmadinejad, offered continued rhetorical support to HAMAS, stating that Iran would not abandon the group. IRGC commander Major General Ibrahim Ja’afari even hinted in July 2008 that Iran would use Hezbollah or HAMAS to respond if Iran came under attack. To facilitate this relationship, Iranians such as Qods Force commander Qassem Soleimani, Qods Force deputy commander Abd Reza Shahla’I, and Iranian Minister of Intelligence and Security Gholam Hossein Mohseni-Ejehei  worked with, among others, HAMAS leader Khaled Meshaal, HAMAS Political Bureau Deputy Musa Abu Marzuq, and the HAMAS representative in Iran, Abu Usama Abd al-Mu’ti. The rhetoric and meetings translated directly into increased material support. In late May 2008, some reports indicated that Iran increased its financial support for HAMAS to $150 million for the second half of the year. Iran transferred these funds to HAMAS through the Iranian Bank Melli’s Damascus branch. The US had targeted this bank, Iran’s largest, in October 2007 sanctions for its role in supporting Iran’s nuclear program. Weapons accompanied the cash: the group received shipments of explosively formed penetrators (EFPs), Iranian-supplied rockets, and 120mm mortars in 2008. The EFPs HAMAS received, known as the “Shawaz” and similar to those found by U.S. forces in Iraq, could penetrate up to 200 mm of steel. With Iranian assistance, HAMAS even reportedly modified the EFP, creating a “Shawaz 4” model to better penetrate Israeli tanks and armored personnel carriers. New collapsible rockets, consisting of four 50cm sections, found their way into Gaza more easily than earlier models; some of these rockets may have been produced in China and distributed by Iran, while other reports claim that a “Martyr Bakiri” complex in Tehran produced the weapons. War materiel reportedly flowed to HAMAS most heavily during three periods: after Gaza militants breached the border wall separating Egypt from Gaza at Rafah in January 2008 (which allowed as many as half of the 1.5 million residents of Gaza to cross the border into Egypt), after an early March conflict between Israel and HAMAS, and after the June 2008 six-month ceasefire agreement between Israel and HAMAS. Another report claimed Iran’s defense ministry decided to increase its arms deliveries in November 2008. Smugglers brought the arms into Gaza primarily through one of three routes: by breaking arms down so they could be moved piece-by-piece through tunnels under the Egypt-Gaza border, by using humanitarian aid ships as cover to stow weapons, or, while anchored in Egyptian waters closed to the Israeli Navy, by dropping them in waterproof containers that frogmen could tow into Gazan waters, where Palestinian fishermen would meet the shipments. On land, arms dealers or Sinai Bedouinswould bring arms to Gaza’s border,  completing a land route that could extend as far south as Somalia. Iran used “train the trainer” techniques and emailed training materials to broaden the reach of training efforts and reduce the number of HAMAS operatives exposed to potential arrest during travel to and from training. Hamas operatives primarily traveled from Gaza to Egypt, Egypt to Damascus, and Damascus to Iran, a route that could expose them to Egyptian or Israeli interdiction. Like the techniques employed by Iranian-backed Special Groups in Iraq, HAMAS operatives trained in Iran would return to Gaza to train more HAMAS operatives unable to travel abroad; hundreds of such trainers supposedly resided in Gaza at the start of the recent Israel-HAMAS conflict. Beyond training and armaments, Iran has helped HAMAS to tighten its grip on freedom of expression in the Gaza Strip. In May 2008, Iran provided censorship software to HAMAS to help the movement limit Palestinian access to the Internet, which HAMAS began to control further after it struck a deal with the Palestinian telecommunications company PalTel in May. Without Iranian financing, weapons, and training and other support, HAMAS could not have inflicted as many Israeli casualties as it did during the conflict with Israel. Already, the group’s relationship with Iran has helped it rebuild from the conflict with Israel: since the conflict’s end, HAMAS has smuggled “22 tons of explosives and ‘tens’ of rockets” into Gaza. Iranian financial aid to HAMAS reportedly flows through Damascus, directed by Hamas leader Khaled Meshaal, who has resided in Syria since HAMAS’ exile from Jordan in 1999. Iran promised in late May to increase the amount of annual aid for the second half of 2008 to $150 million, according to reports; by comparison, Iran reportedly provided $250 million to HAMAS in December 2006 for 2007 costs. Another conflicting report claimed that the al-Shahid Foundation – an alternate name for the Bonyad-e Shahid, an Iranian organization sanctioned by the U.S. Treasury Department – provided $2.3 million to 3,500 families; families of married “martyrs” received $1,000 while unmarried “martyr” families received $500. Materiel started flowing heavily through the tunnels after the ceasefire agreement of June 2008; the Quds Force and Iranian Ministry of Intelligence and Security facilitated the transfers. Most missiles are broken down and smuggled through tunnels at the Rafah crossing. This cooperation is critical, as large amounts of explosives, machine guns, and other arms have already arrived in Sinai since the conclusion of Operation Cast Lead. The weapons transfer may also occur through waterproof containers transported by Iranian frogmen who move weapons from Iranian ships to Palestinian fishing boats underwater; this method would run the risk that the frogmen may come under Israeli fire but this tactic has apparently succeeded in the past. Iran also transfers materiel under the cover of humanitarian aid deliveries. On 27 January 2009, Egypt prohibited an Iranian ship from transiting the Suez Canal; the ship was believed to be carrying weapons for HAMAS. Iranian ships sometimes drop off materiel at Port Said in Egypt. 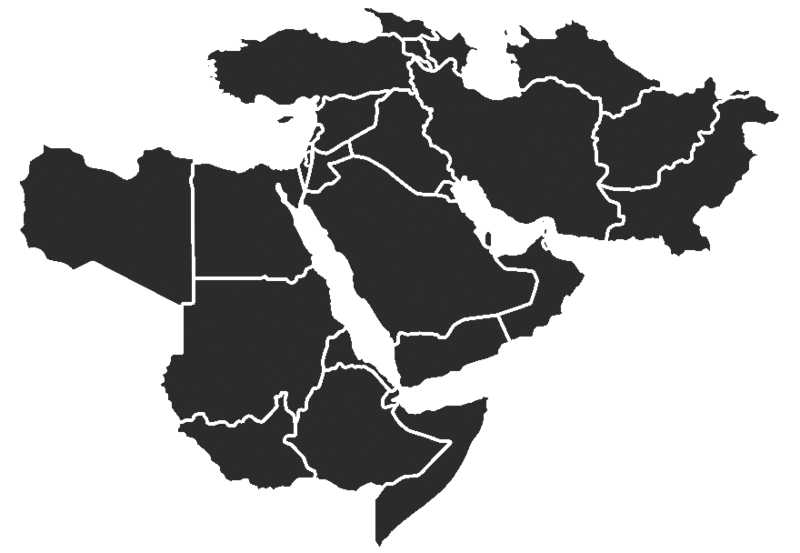 The route by ground may extend as far south as Somalia and Sudan, from which it is smuggled north through Egypt to Gaza. News emerged in March 2009 confirming this route: near Port Sudan in Sudan in mid-January, Israeli forces struck a convoy of as many as 23 trucks, according to anonymous Israeli intelligence sources, or as few as 15 trucks, according to an unnamed HAMAS official, that carried arms from Iran destined for HAMAS smugglers in Egypt. In February 2008, the rocket type changed from previous Grad rockets to include a new Grad rocket type consisting of four 50 cm sections. The separate sections would make the rocket easier to disassemble and smuggle across a border. Supposedly, the longer type rockets fired during Operation Cast Lead may have been manufactured in China and distributed to HAMAS by Iran. These rockets may also have been produced at the “Martyr Bakiri Complex in Tehran”, according to promises in late May 2008 made by Brigadier General Ahmad Vahidi, a former Iranian Revolutionary Guards Corps Quds Force commander, to continue supplying advanced missiles to HAMAS. A report emerged in early February 2008 claiming Iran had dedicated a special production line to ‘collapsible’ Grad rockets that had a range of 16km. During Operation Cast Lead, as of January 14, 94 Chinese Grad rockets with 40 km ranges, 71 122mm rockets with 20 km ranges, 4 175 mm rockets, and 48 90 and 155mm rockets were fired against Israel. Iran supplied 120 mm mortar ammunition to HAMAS during 2008. HAMAS fired another shell on February 29, 2008; it was a standard 120mm explosive manufactured in Iran in 2006. Possessed by HAMAS operatives, allegedly supplied by Iran. HAMAS supposedly developed a current version, the Shawaz 4, with Iranian assistance. One Israeli soldier died and three others were wounded when an Israeli jeep encountered an explosively formed penetrator in March 2008. Two hundred supposedly returned through the breach in the Egypt-Gaza wall that opened in January 2008. Shin Bet chief Yuval Diskin claimed HAMAS began to transfer “tens” of individuals in early March to Iran, promising hundreds more. A HAMAS commander claimed in early March 2008 that 150 HAMAS fighters had trained in Iran and an additional 150 were in training in Iran during early March 2008. Seventy HAMAS operatives were supposedly delayed in mid-July when attempting to enter the Rafah crossing. As of March 9, 2008, sixty-two HAMAS operatives were allegedly training in Syria, in addition to another 650 HAMAS operatives who had trained in Syria up to that point; all trained under trainers who had received training in Iran. At least 100 Iran-trained operatives were reported to be ready to fight Israel at the start of Operation Cast Lead. One to six months; another source claims 45 days to six months. At the beginning of Operation Cast Lead, hundreds of trainers were in Gaza. Email used to send training information to HAMAS members. HAMAS trainees learned tactics, weapon operation, and – importantly – the ability to make explosives out of everyday objects. “i) Physical training and navigation. ii) Operating various types of weapons: light arms, machine guns, hand grenades and anti-tank weapons. iii) Assembling and operating explosive devices. iv) Indoctrination, especially anti-Israeli and anti-American incitement. The operatives travel from Gaza to Egypt, from Egypt to Syria, and from Syria to Iran. HAMAS and Hezbollah militants reportedly trained together. A report in early March 2008 claimed Hezbollah trained HAMAS, but the HAMAS members may have simply adopted Hezbollah tactics from afar or while in Iran. Quds Force Commander Qassim Soleimani. Quds Force Deputy Commander Abd Reza Shahla’i; the US Treasury froze his assets on September 16, 2008. Iranian Minister of Intelligence and Security Gholam Hossein Mohseni-Ejehei. Issued statements on Alan Johnston kidnapping while in Iran. Marzuq and HAMAS leader Khaled Meshaal met the Iranian Supreme Leader’s Advisor for International Affairs, Ali Akbar Velayati, on the sidelines of a Doha conference on October 13, 2008 and urged joint resistance against Israel. Iran supposedly urged Marzuq and the rest of HAMAS to seize control of the Palestinian presidency in a phone call on 9/10/2008 in which Syrian Major General Muhammad Nasif, HAMAS leader Khaled Meshaal, HAMAS Political Bureau Deputy Musa Abu-Marzuq, Lebanese Quds Force commander Muhammad Rida Zahidi, and Iranian Ambassador to Syria Ahmad al-Musawi participated. December 2008 meeting: Iranian Revolutionary Guard Corps leaders supposedly visited Damascus, resulting in new Grad missile deliveries to HAMAS, including many of the rockets used during Operation Cast Lead against Israel. June 5, 2008: offered support to HAMAS Leader Khaled Meshaal in a phone call. Ahmadinejad called HAMAS Prime Minister Ismail Haniyeh on September 13, 2008 and expressed support for him and HAMAS. July 2, 2008 – hinted that Iran would encourage HAMAS and Hezbollah to respond if Iran were attacked: “(Question) What do you mean by the capabilities outside Iran? Is there any probability of (Iran) taking action against the enemies through Hezbollah or HAMAS? October 25 – October 27, 2008: Marzuq initially seemed to support Iran in the dispute between Tehran and the United Arab Emirates (UAE) over Persian Gulf Islands; he later seemed to contradict his earlier statement and offered support for the UAE: “…on Saturday (25 October) affirmed that his movement was keen on maintaining 'positive relations' with the United Arab Emirates. He said in a press statement that HAMAS supports the UAE in face of any threat to its 'security and stability.' Asked on the issue of the three UAE islands occupied by Iran, he said that his movement supports the Arab position in this regard. He advocated 'dialogue and peaceful means' to solve this issue. He underlined that HAMAS delegates, during meetings with Iranian officials, focus on the unity of the Arab and Muslim Umma (Nation), which entails an Iranian assurance to its neighbors that it only bears good intentions toward them. Abu Marzouk hoped that the issue would be solved soon so that it would not serve as a stumbling bloc[k] in face of 'healthy and positive' Arab-Iranian relations based on the respect of each other and non-interference in internal affairs. May 24, 2008: met with the following Iranian officials: Secretary of the Supreme National Security Council Saeed Jalili, Foreign Minister Manuchehr Mottaki, Iranian Revolutionary Guard Corps Commander Ibrahim Ja’afari, Quds Force Commander Qassem Suelimani, and members of Iran’s Defense Industries Organization, including Brigadier General Ahmad Vahidi, a former Quds Force commander . May 26, 2008: met former Iranian President Akbar Hashemi Rafsanjani. HAMAS was rumored to be considering moving its headquarters to Tehran after news broke of talks between Syria and Israel in late may. November 11, 2008: may show that Zawahiri views HAMAS as a close ally of al-Qaeda: “(Al-Zawahiri) Then this is what they have come to. Actually, let me tell you something else: many of those who call themselves nationalists, leftists and what not work directly or indirectly with the Americans through their governments to combat the Islamic movements. Abd-al-Rahman al-Rashid, a writer for the Egyptian paper al-Sharq al-Awsat, doubted the presence of al-Qaeda in Gaza in a September 4, 2008 editorial, saying that al-Qaeda would have entered Israel “10 years ago” if it had wanted to have influence there and that now it was consumed primarily with Iraq. HAMAS supposedly handed an al-Qaeda leader over to Egypt after he had entered Gaza in order to organize an al-Qaeda wing with disgruntled members of the Qassam Brigades. Isabel Kershner, “Longer-Range Type of Katyusha Rocket Alarms Israelis,” International Herald Tribune, January 6, 2009; Yaakov Katz and Yaakov Lappin, “Rehovot, Rishon May Be in Rocket Range,” The Jerusalem Post, January 5, 2009;, Aaron Heller, “Israel Rules Out Hamas Contacts, Threatens Force,” Associated Press, February 2, 2009. “Hamas Leader Thanks Iran for Help in Gaza Fight,” Associated Press, February 2, 2009. Joe Lauria, “US Says Iran Broke Weapons Ban,” Wall Street Journal, Mach 11, 2009. Uzi Mahnaimi, “US Navy Seeks Arms Bound for Hamas,” Sunday Times, January 25, 2009; Yaakov Katz, “Cairo Intercepts Iranian Arms Ship,” The Jerusalem Post, January 27, 2009. “Cairo Bars Iran Ship with Arms for Gaza,” Australian, January 28, 2009. “Cyprus: Detained Ship Broke Iran Arms Export Ban,” Associated Press, February 10, 2009. Joe Lauria, “US Says Iran Broke Weapons Ban,” Wall Street Journal, Mach 11, 2009. Edith Lederer, “Iran accused of violating UN sanctions,” Associated Press, March 10, 2009. “How Israel Foiled an Arms Convoy Bound for Hamas,” TIME, March 30, 2009. Available at http://www.time.com/time/world/article/0,8599,1888352,00.html. Marie Colvin, “HAMAS Wages Iran’s Proxy War on Israel,” Sunday Times, March 9, 2008. Con Coughlin, “Analysis: Israel's Gaza Offensive Also Confronts Iran,” Telegraph, January 11, 2009. “IRGC Commander Warns of 'Very Quick,' 'Crushing' Response to Enemy Attack,” Jam-e-Jam, July 2, 2008, http://wnc.dialog.com/. Intelligence and Terrorism Information Center at the Israeli Heritage & Commemoration Center, “Iranian Support of HAMAS,” January 12, 2008. Abd-Reza Shalai was responsible for coordinating the training of Iraqi Special Group members by Lebanese Hezbollah operatives in Iran, US Treasury Department, “Treasury designates individuals and entities fueling violence in Iraq,” press release, September 16, 2008, http://www.treas.gov/press/releases/hp1141.htm; “Iraqi Sunni Spokesman Says US Treasury's Decision to Freeze Assets ‘Joke’,” Al Jazeera TV, September 17, 2008. “Supreme Leader Advisor Meets HAMAS Leader,” Iranian Student News Agency, October 13, 2008, http://wnc.dialog.com/. “Iran Said to Continue Military, Financial Aid to HAMAS,” Al-Sharq al-Awsat, May 26, 2008, http://wnc.dialog.com/. Shimon Shapira, “Iranian State Banks and International Terror. French Court to Decide if US Court Judgments Against Iran Should be Enforced,” The Jerusalem Post, February 18, 2008. “US Slaps Sanctions on Leading Iranian State-Owned Banks,” Agence France Presse, October 25, 2007. Intelligence and Terrorism Information Center at the Israeli Heritage & Commemoration Center, “Iranian Support of HAMAS,” January 12, 2008, 10. “Israeli Intel Identifies New HAMAS Explosive Developed With Iranian Technology,” Montreal Middle East NewsLine, May 30, 2008, In “Iran: Highlights: Iranian Military Developments -- 30 May - 5 June 2008,” Iran – OSC Summary, June 18, 2008. Marie Colvin, “HAMAS Wages Iran’s Proxy War on Israel,” Sunday Times, March 9, 2008; “Israeli Intel Identifies New HAMAS Explosive Developed With Iranian Technology,” Montreal Middle East NewsLine, May 30, 2008, In “Iran: Highlights: Iranian Military Developments -- 30 May - 5 June 2008,” Iran – OSC Summary, June 18, 2008. Intelligence and Terrorism Information Center at the Israeli Heritage & Commemoration Center, “Iranian Support of HAMAS,” January 12, 2008, 7. “Gazans make new border wall hole,” BBC News, January 25, 2008. Ha’aretz, March 28, 2008, In “Iran: Highlights: Iranian Military Developments - 21-27 March 2008,” Iran – OSC Summary, April 1, 2008; Intelligence and Terrorism Information Center at the Israeli Heritage & Commemoration Center, “Iranian Support of HAMAS,” January 12, 2008, 16; Isabel Kershner, “Israel Agrees to Truce with Hamas on Gaza,” New York Times, June 18, 2008. Intelligence and Terrorism Information Center at the Israeli Heritage & Commemoration Center, “Iranian Support of HAMAS,” January 12, 2008, 16. Craig Whitlock, “Progress Reported in Gaza Truce Talks; Palestinian Toll Exceeds 1,000,” The Washington Post, January 15, 2009; Ali Akbar Dareini, “Iran's President Urges Arabs to Stop Israel,” Associated Press, January 15, 2009. April 18, 2008 report from The Jerusalem Post in “Iran: Highlights: Iranian Military Developments - 11-17 April 2008,” Iran – OSC Summary, April 21, 2008; Uzi Mahnaimi, “US Navy Seeks Arms Bound for Hamas,” Sunday Times, January 25, 2009. Anshel Pfeffer, “Sources: Hamas Arms Smuggling Never Stopped During IDF Op in Gaza,” Ha’aretz, January 23, 2009. Yaakov Katz, “Cairo Intercepts Iranian Arms Ship,” Jerusalem Post, January 27, 2009. Ha’aretz, March 28, 2008, In “Iran: Highlights: Iranian Military Developments - 21-27 March 2008,” Iran – OSC Summary, April 1, 2008. Al-Quds, July 14, 2007, Cited in Intelligence and Terrorism Information Center at the Israeli Heritage & Commemoration Center, “Iranian Support of HAMAS,” January 12, 2008, 18. Intelligence and Terrorism Information Center at the Israeli Heritage & Commemoration Center, “Iranian Support of HAMAS,” January 12, 2008, 18; Colvin, Marie, “HAMAS Wages Iran’s Proxy War on Israel,” Sunday Times, March 9, 2008. Intelligence and Terrorism Information Center at the Israeli Heritage & Commemoration Center, “Iranian Support of HAMAS,” January 12, 2008, 18; Marie Colvin “HAMAS Wages Iran’s Proxy War on Israel,” Sunday Times, March 9, 2008. Marie Colvin, “HAMAS Wages Iran’s Proxy War on Israel,” Sunday Times, March 9, 2008; Intelligence and Terrorism Information Center at the Israeli Heritage & Commemoration Center, “Iranian Support of HAMAS,” January 12, 2008, 20. Intelligence and Terrorism Information Center at the Israeli Heritage & Commemoration Center, “Iranian Support of HAMAS,” January 12, 2008, 18; Marie Colvin, “HAMAS Wages Iran’s Proxy War on Israel,” Sunday Times, March 9, 2008. Intelligence and Terrorism Information Center at the Israeli Heritage & Commemoration Center, “Iranian Support of HAMAS,” January 12, 2008, 18. For further reading on the tactic’s usage in Iraq, see: Marisa Cochrane, “Iraq Report: Special Groups Regenerate,” Institute for the Study of War and WeeklyStandard.com, August 29, 2008, http://www.understandingwar.org/files/reports/IraqReport11.pdf. Yo’av Gallant, interview by Ben Kaspit, Ma’ariv, September 30, 2008, http://wnc.dialog.com/. “Iran: Highlights: Iranian Military Developments 24-30 October 2008,” Iran - OSC Summary, November 7, 2008, http://wnc.dialog.com/. “Iranian Interference In Regional Affairs Iran Helps HAMAS To Censor Internet,” Gaza City (MENL), June 17, 2008, In “Iran: Highlights: Iranian Military Developments - 13-19 June 2008,” Iran – OSC Summary, June 26, 2008, http://wnc.dialog.com/. Intelligence and Terrorism Information Center at the Israeli Heritage & Commemoration Center, “Iranian Support of HAMAS,” January 12, 2008; Eben Kaplan, “Profile of Khaled Meshal,” Council on Foreign Relations, July 13, 2006, available at http://www.cfr.org/publication/11111/. “Iran Said To Continue Military, Financial Aid to HAMAS,” Al-Sharq al-Awsat, May 26, 2008, http://wnc.dialog.com/; Intelligence and Terrorism Information Center at the Israeli Heritage & Commemoration Center, “Iranian Support of HAMAS,” January 12, 2008, 20. “Ma'an Al-Falah Society Distributes Cash Aid to Orphaned Families,” Bethlehem Ma'an News Agency, August 20, 2008, In Arabic -- independent, leading news agency, funded by the Dutch and Danish Foreign Ministries; “Al-Quds Iranian Cash Aid Distributed to 'Families of Martyrs' in Gaza,” Al-Quds, August 20, 2008, In Arabic -- independent, largest circulation, pro-Fatah daily; “Al-Shahid Foundation Distributes Cash Aid to 'Families of Martyrs' in Gaza,” August 27, 2008; All accessed through OSC database: “Highlights: Palestinian Press Reports on Humanitarian Situation 20-27 Aug,” West Bank and Gaza Strip – OSC Summary, August 28, 2008, http://wnc.dialog.com/. Yaakov Katz, “Cairo Intercepts Iranian Arms Ship,” The Jerusalem Post, January 27, 2009. April 18, 2008 report from The Jerusalem Post in “Iran: Highlights: Iranian Military Developments - 11-17 April 2008,” Iran – OSC Summary, April 21, 2008, http://wnc.dialog.com/. Uzi Mahnaimi, “US Navy Seeks Arms Bound for Hamas,” Sunday Times, January 25, 2009. Intelligence and Terrorism Information Center at the Israeli Heritage & Commemoration Center, “Iranian Support of HAMAS,” January 12, 2008, 17. Craig Whitlock, “Progress Reported in Gaza Truce Talks; Palestinian Toll Exceeds 1,000,” The Washington Post, January 15, 2009; Dareini, Ali Akbar, “Iran's President Urges Arabs to Stop Israel,” Associated Press, January 15, 2009. Uzi Mahnaimi, “US Navy Seeks Arms Bound for Hamas,” Sunday Times, January 25, 2009; Katz, Yaakov, “Cairo Intercepts Iranian Arms Ship,” The Jerusalem Post, January 27, 2009; Joe Lauria, “US Says Iran Broke Weapons Ban,” Wall Street Journal, Mach 11, 2009. Intelligence and Terrorism Information Center at the Israeli Heritage & Commemoration Center, “Iranian Support of HAMAS,” January 12, 2008, 9. “Israeli Officials Say Iran Producing 'Grad' Rockets for HAMAS,” Yedi'ot Aharonot, February 6, 2008, In “Iran: Highlights: Iranian Military Developments - 1-7 February 2008,” Iran – OSC Summary, February 12, 2008, http://wnc.dialog.com/. Intelligence and Terrorism Information Center at the Israeli Heritage & Commemoration Center, “Iranian Support of HAMAS,” January 12, 2008, 11. “Israeli Intel Identifies New HAMAS Explosive Developed With Iranian Technology,” Montreal Middle East NewsLine, May 30, 2008, In “Iran: Highlights: Iranian Military Developments -- 30 May - 5 June 2008,” Iran – OSC Summary, June 18, 2008, http://wnc.dialog.com/; Jonathan Spyer, “Analysis: Fortress Gaza,” The Jerusalem Post, July 2, 2008, http://www.jpost.com/servlet/Satellite?cid=1214726193470&pagename=JPost/JPArticle/ShowFull. Amos Harel, Yuval Azoulay, and Mijal Grinberg, Ha’aretz. “Soldier Killed, Three Others Hurt in Attack on IDF Jeep Near Gaza Border,” March 6, 2008, http://www.haaretz.com/hasen/spages/961557.html. Ha’aretz, March 28, 2008 In “Iran: Highlights: Iranian Military Developments - 21-27 March 2008,” Iran – OSC Summary, April 1, 2008, http://wnc.dialog.com/. Amos Harel and Avi Issacharoff, “Israel’s Aim in Gaza is to Break HAMAS Resistance,” Ha’aretz, January 4, 2009. Intelligence and Terrorism Information Center at the Israeli Heritage & Commemoration Center, “Iranian Support of HAMAS,” January 12, 2008, 18.; Marie Colvin, “HAMAS Wages Iran’s Proxy War on Israel,” Sunday Times, March 9, 2008. Intelligence and Terrorism Information Center at the Israeli Heritage & Commemoration Center, “The Israeli Security Forces Detained a Fatah Terrorist Operative from the Gaza Strip Who Underwent Advanced Military Training in Iran. He was Involved in Firing Rockets into Israeli Territory and Even Expressed Willingness to Act as a Suicide Bomber,” May 20, 2008, http://www.terrorism-info.org.il/malam_multimedia/English/eng_n/pdf/ct_190508e.pdf. Ha’aretz, March 28, 2008, In “Iran: Highlights: Iranian Military Developments - 21-27 March 2008,” Iran – OSC Summary, April 1, 2008, http://wnc.dialog.com/. “Iranian Interference In Regional Affairs Israeli 'Sources': HAMAS Trained By Hizballah For Confronting IDF in Gaza Strip,” Montreal Middle East Newsline, March 13, 2008, In “Iran: Highlights: Iranian Military Developments - 7-13 March 2008,” Iran – OSC Summary, March 19, 2008, http://wnc.dialog.com/. “Iraqi Sunni Spokesman Says US Treasury's Decision to Freeze Assets ‘Joke,’” Al Jazeera TV, September 17, 2008. Intelligence and Terrorism Information Center at the Israeli Heritage & Commemoration Center, “Iranian Support of HAMAS,” January 12, 2008; Kershner, Isabel and Taghreed el-Khodary, “Israel Kills 6 Militants and Gaza Civilian,” The New York Times, February 8, 2008. “Alan Johnston to Be Freed ‘In a Few Hours’ - HAMAS Envoy in Iran,” Fars News Agency, June 17, 2007. Isabel Kershner and Taghreed el-Khodary, “Israel Kills 6 Militants and Gaza Civilian,” The New York Times, February 8, 2008. Khaled Abu Toameh, “Arab Men Eager to Attack Israel Have Poured into Gaza,” The Jerusalem Post, February 7, 2008. “Kuwaiti Paper: Iran Urges HAMAS To Seize Control of Palestinian Presidency,” Al-Siyasah, September 10, 2008, http://wnc.dialog.com/. “Iran's Speaker Criticizes Arab Countries, West for Ignoring Gaza,” Vision of the Islamic Republic of Iran Network 1, December 11, 2008, http://wnc.dialog.com/. “Israel's Plan To Continue Gaza Strip Siege Goes Nowhere: Larijani,” Iranian Student News Agency, September 12, 2008, http://wnc.dialog.com/. “Larijani Reiterates Iran's Support For Palestinians,” Fars News Agency, June 5, 2008, http://wnc.dialog.com/. “Iran's Supreme Leader Sends Message To Hajj Pilgrims,” Fars News Agency, December 7, 2008, http://wnc.dialog.com/. “FYI -- Iranian Leader Speaks to Students on Anniversary of US Embassy Seizure,” Vision of the Islamic Republic of Iran TV, October 29, 2008. “Iran's Supreme Leader Pledges Support for Palestinians,” Fars News Agency, October 1, 2008, http://wnc.dialog.com/. “Leader Urges Continued Resistance Against Israeli Regime,” Fars News Agency. May 28, 2008, http://wnc.dialog.com/. “Ahmadinejad Stresses Support For Palestinians,” Fars News Agency, September 13, 2008, http://wnc.dialog.com/. “Ahmadinejad: Zionists Dispirited By Resistance,” Fars News Agency, May 28, 2008, http://wnc.dialog.com/. “Former Iranian Guards Commander Addresses Qods Day Rally in Tabriz,” Fars News Agency, September 26, 2008, http://wnc.dialog.com/. Dr. Musa Abu-Marzuq, "Abu-Marzuq to Al-Sharq Al-Awsat: If Abbas Releases the Detainees and Responds to the Requirements of the Dialog, We Will Go Immediately to Cairo,” By Sawsan Abu-Husayn, Al-Sharq al-Awsat Online, December 3, 2008, http://wnc.dialog.com/. “Conflicting Reports on Abu-Marzuq's Position on Iranian-UAE Island Dispute,” West Bank and Gaza Strip – OSC Summary, October 28, 2008, http://wnc.dialog.com/. “Report on HAMAS's Haniyah 's Message to Iranian Leaders,” Al-Sharq Al-Awsat, October 3, 2008, http://wnc.dialog.com/. “Palestinian Leader: Recognition Of Israel Impossible,” Fars News Agency, May 28, 2008, http://wnc.dialog.com/. Intelligence and Terrorism Information Center at the Israeli Heritage & Commemoration Center, “Iranian Support of HAMAS,” January 12, 2008, 21; “Iran Said To Continue Military, Financial Aid to HAMAS,” Al-Sharq al-Awsat, May 26, 2008, http://wnc.dialog.com/. “Ayatollah Rafsanjani Receives Khalid Mashal,” IRNA, May 26, 2008. Khaled Abu Toameh, “Israel Daily Told HAMAS Mulling Move to Teheran To Protest Syrian Strategy Change,” The Jerusalem Post, May 25, 2008. Indrawus, “Fatah Spokesman Fahmi al-Zaarir Refutes HAMAS Accusations, Views Other Issues,” Al Quds al-Arabi Online, November 14, 2008, http://wnc.dialog.com/. “Jihadist Website Posts Al-Sahab Video of Al-Zawahiri's 'Al-Azhar: The Lions' Den',” OSC Jihadist Websites Summary, December 3, 2008, http://wnc.dialog.com/. Robert Burns, “Clinton accuses Iran of seeking to intimidate,” Associated Press, March 4, 2009. Available at: http://news.yahoo.com/s/ap/20090304/ap_on_go_ca_st_pe/eu_clinton_iran. Lachlan Carmichael, “HAMAS Serving as Iran's 'Proxy Warriors,' Rice says,” Agence France Presse, April 30, 2008. Khaled Abu Toameh, “Arab Men Eager to Attack Israel Have Poured into Gaza.” The Jerusalem Post, February 7, 2008. Abd al Rahman al Rashid, “Arab Writer Doubts Claims of Al-Qa'ida Presence in Gaza,” Al-Sharq Al-Awsat, September 4, 2008, http://wnc.dialog.com/. Amir Rapaport, “Israeli Sources See Al-Qa'ida Behind Gaza July Blast as Part of Shiite-Sunni War,” Ma’ariv, August 7, 2008, http://wnc.dialog.com/. According to Usama al-Asad at Ekhlaas, cited by Will McCants, “HAMAS Hands Over al-Qaeda Commander to Egypt,” Jihadica.com, July 3, 2008, available at http://www.jihadica.com/hamas-hands-over-al-qaeda-commander-to-egypt/.